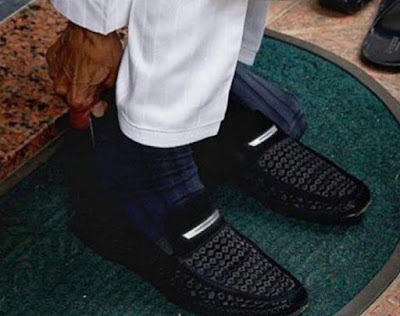 The popular outspoken Abuja-based new media director of the Peoples Democratic Party (PDP), Adeyanju Deji, posted on social media that the President Muhammadu Buhari was spotted wearing shoes that costs N2million, he backed it up with pictures. 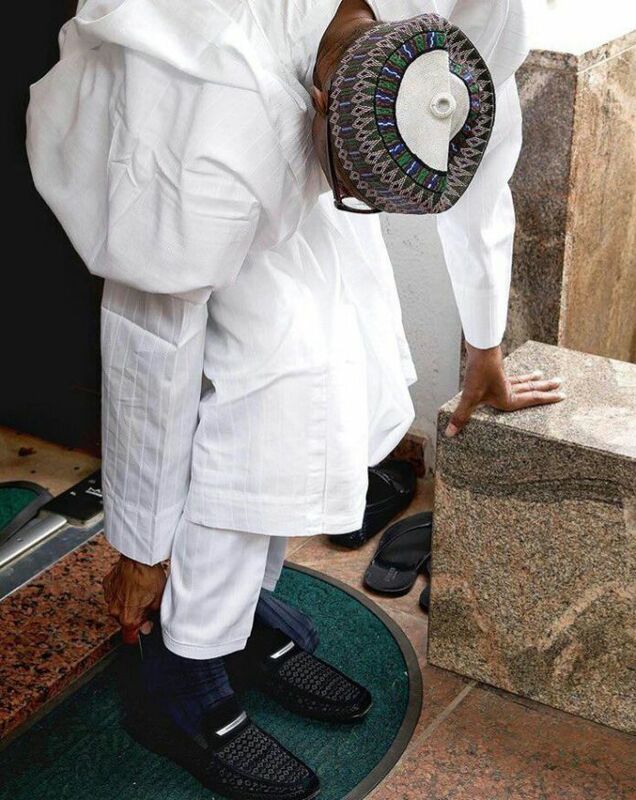 He said it in a sarcastic way. 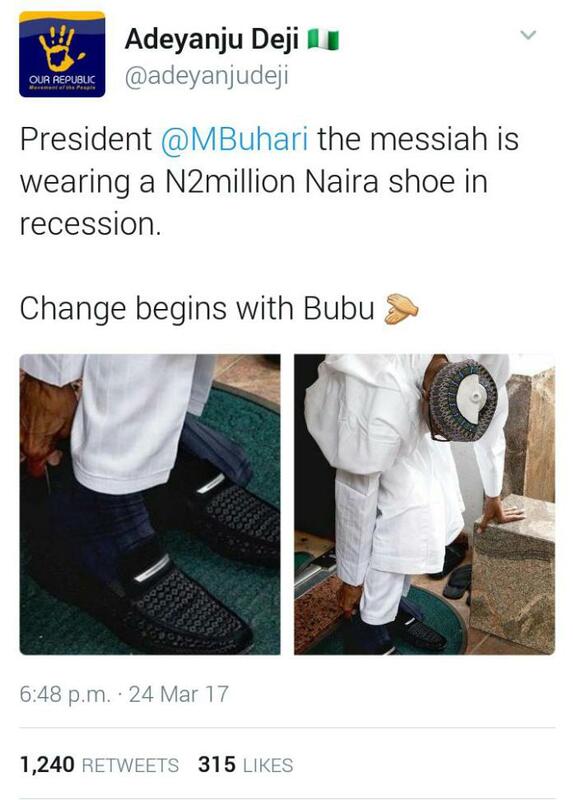 The Nigerian politician, Deji posted a tweet on his Twitter page, criticizing the president over his lavish lifestyle as he shared some photos while alleging that Buhari was wearing a N2 million designer shoes while the nation’s economy is still in recession.